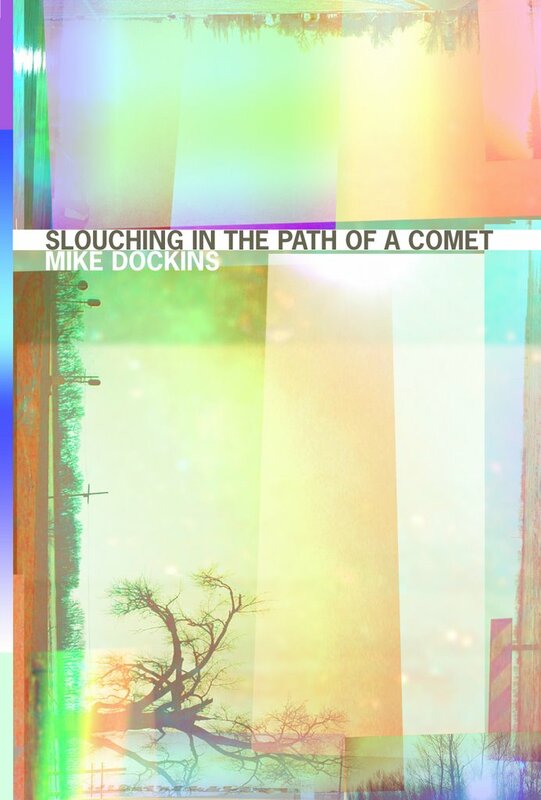 Cover art for "Slouching in the Path of a Comet"
Check out the cover for Mike Dockins' forthcoming book Slouching in the Path of a Comet. Thanks to designer Jon Fetsch for a great job. 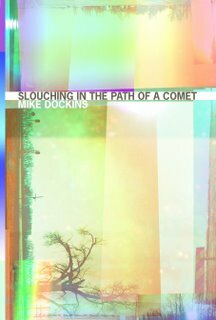 As you read his debut collection, you will begin to think that Mike Dockins has sprung forth, fully formed, from the forehead of some magnificent poetry deity. His poems rise from the page as though they’ve always existed, but we now see them for what they are: no longer dull hunks of language, but beautifully sculpted figures that form our own lives. He gracefully utilizes the daunting double-abecedarian, does a few reps with 100-pound prose poems, and reminds us that free verse can be surprising, potent, and viable in the hands of a skilled practitioner. Smart, funny, and beautifully lyric at the most unexpected moments, Mike Dockins is a writer whose work we will anticipate for years to come. Due out February 2007. Join us at AWP Atlanta for a release party and book signing. From the (web) pages of the journal Redactions: Poetry and Poetics, 100 smart, funny, bold, exciting exercises meant to inspire, flagellate, and otherwise stimulate your poetic faculties. For writers and students of writing. Get your muse on. Shoah Train: Poems (Etruscan P, 2003). “For a while now co-editor Tom Holmes has been posting poetry assignments on the Redactions: Poetry & Poetics journal's website www.redactions.com. I liked that, yes, but would rather have a book.